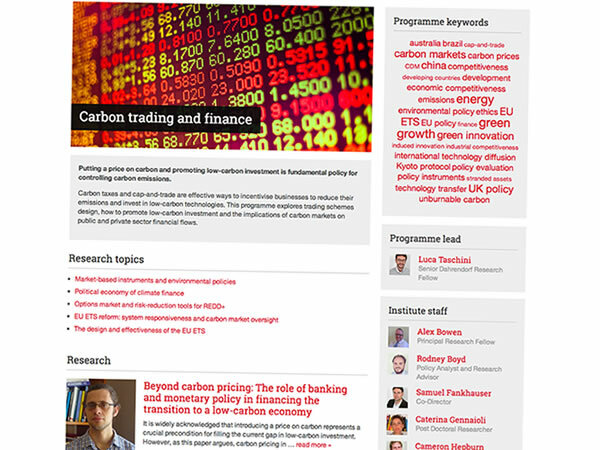 The Communications team at the Grantham Research Institute on Climate Change and the Environment wanted to redesign the Institute's website and move to a new open source CMS. 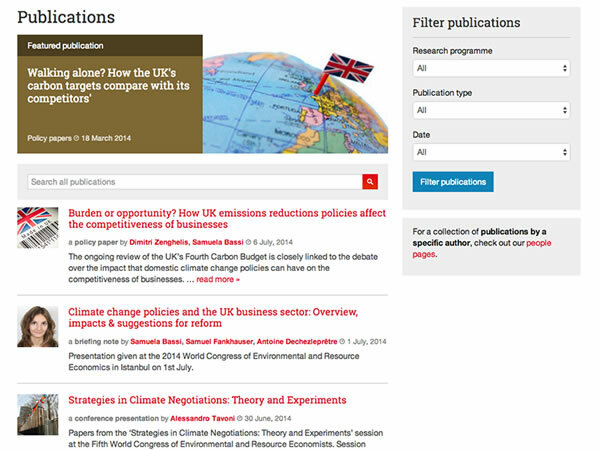 The Institute had a large library of research and policy publications as well as blogs and news coverage. We completed a solid piece of research and analysis, using sample content from the library, designed to simplify the language and categorisation of the content. Several rounds of card-sorting, both online and offline, and usability tests gave the comms team enough evidence to formulate their new set of research programme names. 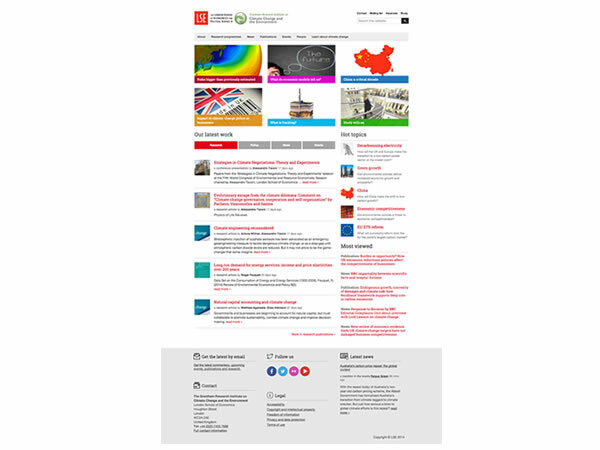 We built the new website in WordPress, making extensive use of taxonomies and tags to organise and highlight content. 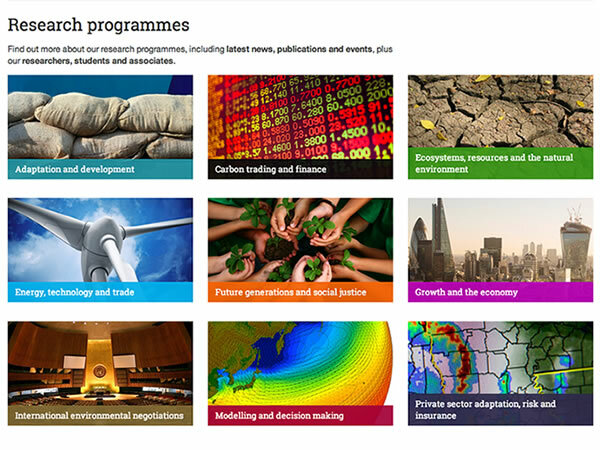 We added a search facility, and new filtering options based on date and category, to give better access to specific areas of policy and research. Feeds from Google Analytics automatically promote topical content and the comms team can easily promote news and publications across the site. 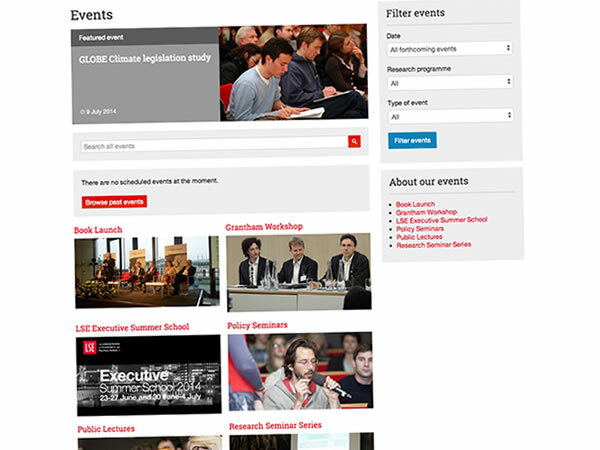 The events section carries its own categorised library of past and future seminars and conferences, including video and audio streams. 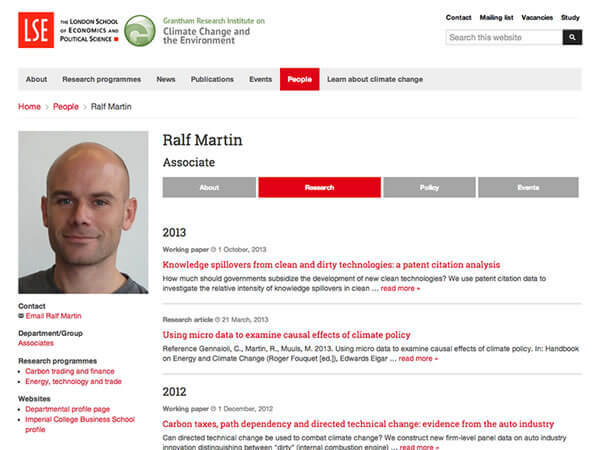 Staff profiles showcase portfolios of news, policy, research and events. 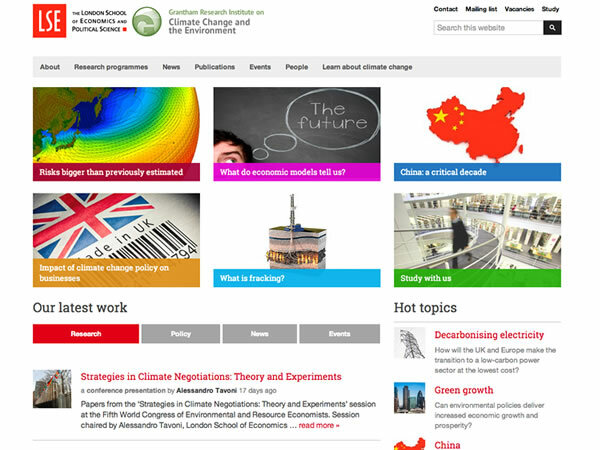 And the redesigned learning section gives access to research and opinion from climate change specialists in a friendly format.